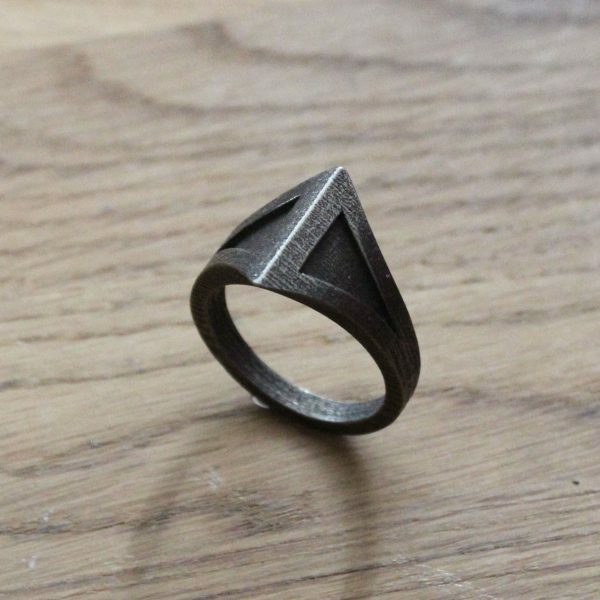 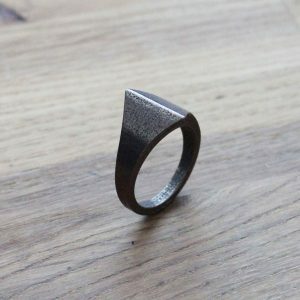 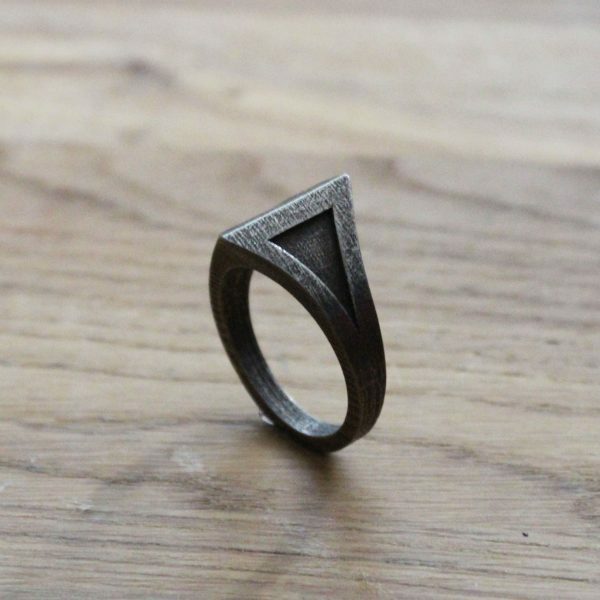 Polished Bronze Steel ring inspired by the hall of Forseti. 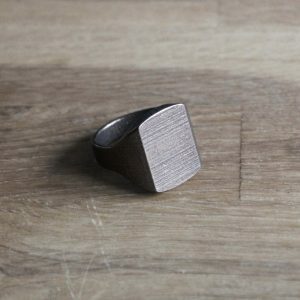 The ring has a large indented surface on each side. 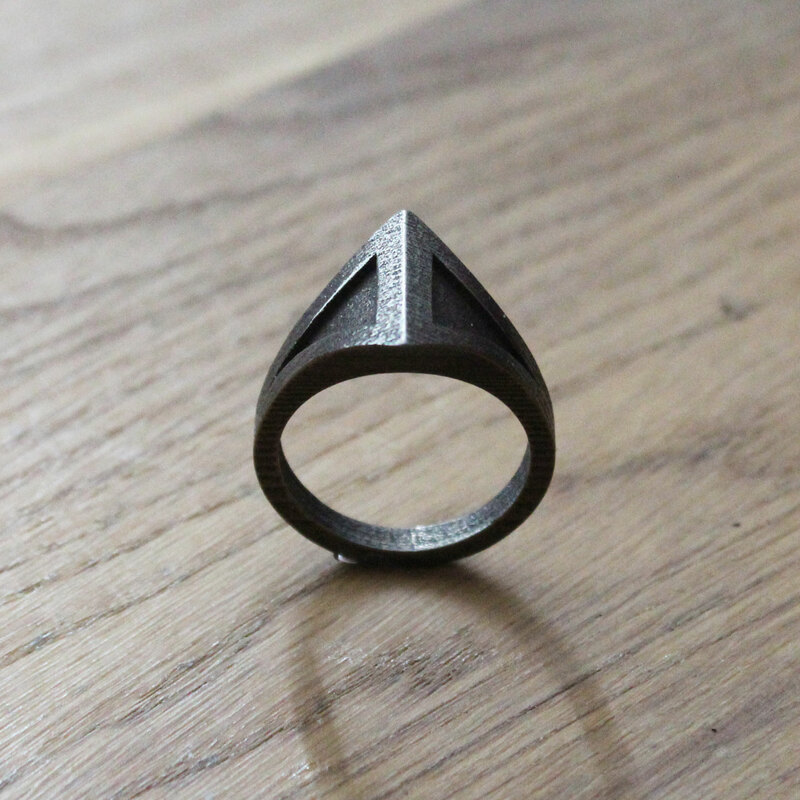 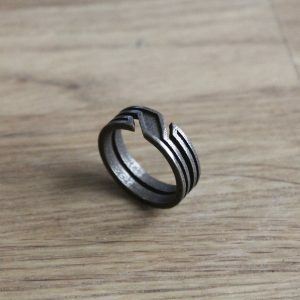 The ring has a rustic surface texture that gives an aged and antic look.